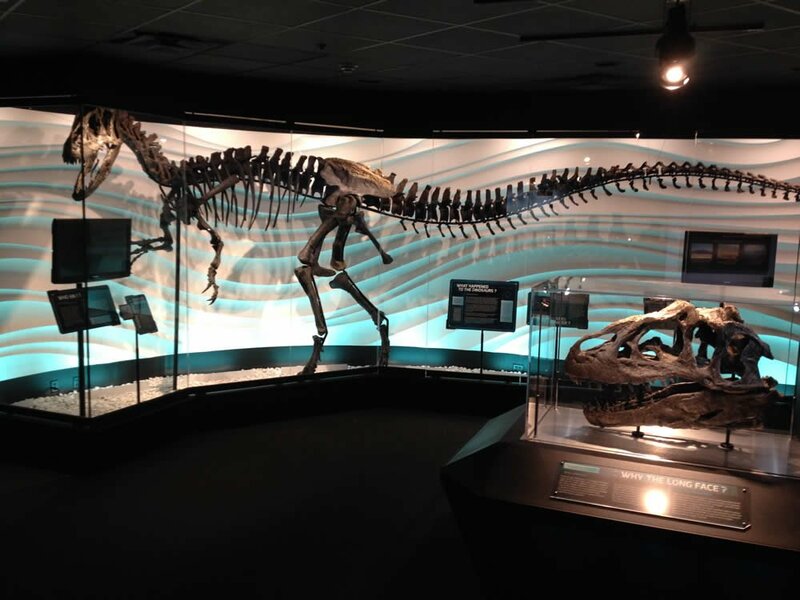 A world-class museum exhibit opens May 24 at the Creation Museum. A new $1.5 million dinosaur exhibit at the Creation Museum housing a world-class allosaur skeleton—having one of the best-preserved Allosaurus fragilis skulls ever discovered—was dedicated this morning. It goes on public display Saturday. 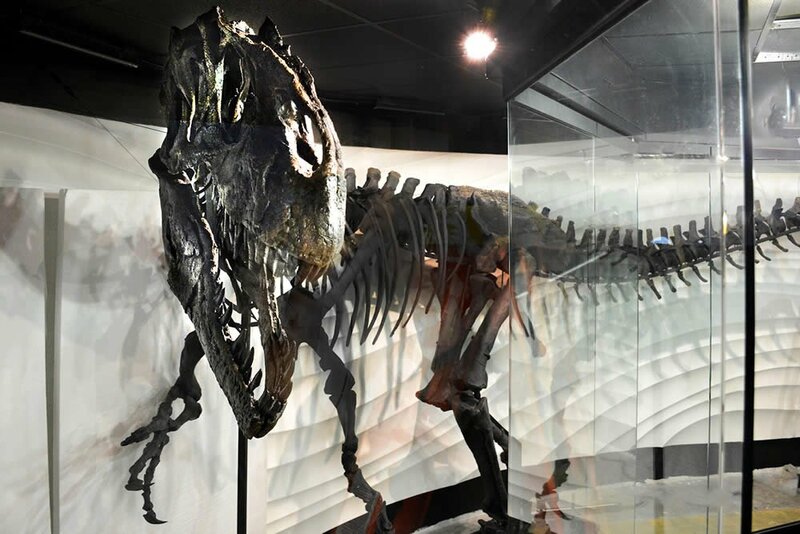 The 30-foot-long, 10-foot-high allosaur, after recent cleaning and restoration, has been reappraised at $1 million. The rare skeleton will be placed in a stunning $500,000 exhibit, which will join an already-impressive array of dinosaur exhibits at the museum near Cincinnati, Ohio. Allosaurs, sometimes confused with a T. rex, were large theropod dinosaurs. This allosaur, named Ebenezer, is exceptional not only for its almost-complete, three-foot-long skull (including 53 teeth) but because its bones, rather than mixed and scattered, were found together (with many in their articulated position). The creature probably weighed 2.3 tons. Over 50 percent of its bones were recovered and will go on display Saturday. The new exhibit is called “Facing the Allosaurus,” to help draw attention to the preserved skull. This morning the allosaur exhibit was dedicated and readied for a public unveiling tomorrow. 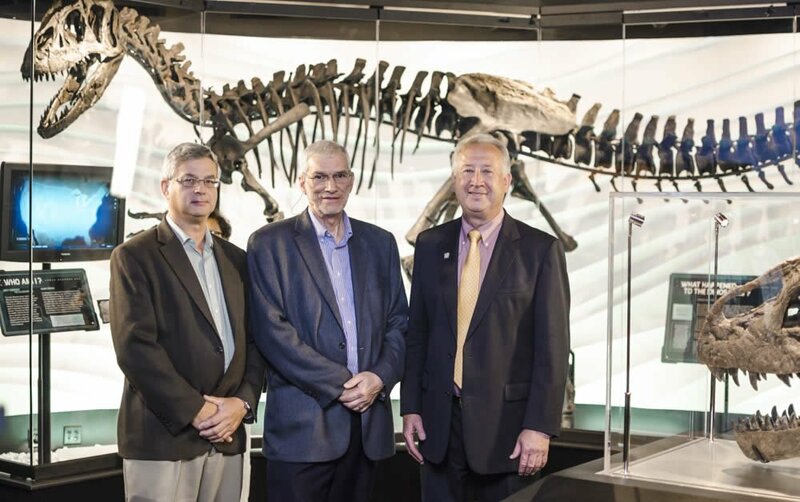 In the photo (left to right): Dr. Andrew Snelling, Ken Ham, and Michael Peroutka. Ham’s hope to obtain a world-class dinosaur for the museum had been held back because excellent skeletons were cost prohibitive. Thus he did not seek one out. Last year, however, Michael and Stephen Peroutka of the Elizabeth Streb Peroutka Foundation, approached the museum with the offer of their allosaur. 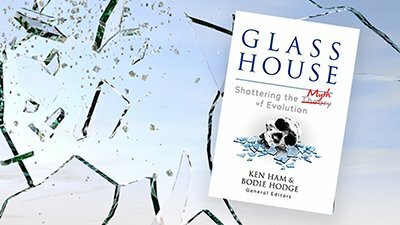 [Ebenezer] will help us defend the book of Genesis and expose the scientific problems with evolution. Michael Peroutka, who was on hand Friday morning for the private dedication of the allosaur exhibit, stated that this fossil “is a testimony to the creative power of God in designing dinosaurs, and that it also lends evidence to the truth of a worldwide catastrophic flooding of the earth in Noah’s time.” Appropriately, the allosaur has been placed in the museum’s large “Flood Geology” section. Dr. Snelling added that Ebenezer most likely died in Noah’s Flood, over 4,300 years ago. In fleeing the rising waters, posits Dr. Snelling, Ebenezer was swept away in a debris flow and buried rapidly under massive amounts of sediment, preserving many of its bones. Dr. Snelling soon will oversee CT scans of these bones to facilitate further study of them. He has already started a site study in Colorado, in collaboration with Dr. John Whitmore, geology professor at Cedarville University, to discover more about the animal’s demise. Their research will be published in AiG’s peer-reviewed Answers Research Journal. The Creation Museum is an outreach of Answers in Genesis. The high-tech museum has drawn over two million visitors since opening in 2007. 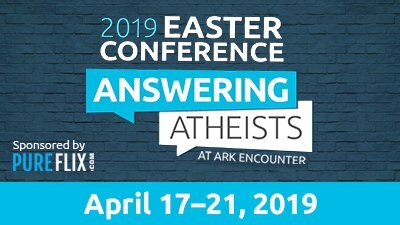 With most of the funding in place for phase one of its Ark Encounter project (a $74 million first phase), AiG will soon start construction on a full-size Noah’s Ark in Williamstown, Kentucky.